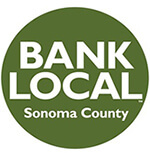 Summit State Bank can create an optimal banking environment for almost every style of business. Our operating accounts, when paired with the well-matched reserve accounts, deliver the right features to fit your transaction volume and liquidity objectives. Manage your daily needs while optimizing your longer-term deposits. Using our SummitOnline Banking, you can complete your banking any time of day. Automate payments, transfer balances, check the status of a transaction, and stop a payment, are just a few of the available services. Summit State Bank makes it easy to optimize your daily banking processes. Set a deposit threshold then automatically sweep extra funds into your high interest Money Market account. Make your Line of Credit loan payment the same way. You can conveniently pre-schedule vendor payments so that they arrive just before the due date. Direct deposit your payroll directly into your employees' accounts. Get your customers' approval then automatically pull recurring receivables from their accounts on the same day each month. Download and print your cash position statements each day so you know exactly where you are. Optimize your banking with Summit State Bank.